Second digital album in Nostress for Tonoptik from Saint Petersburg (Russia). 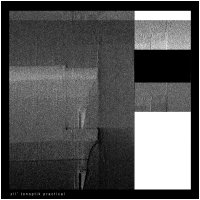 This new digital LP "Practical" was played and recorded with the artist zll'. Organic sound of analog synthesis is presented in the form of "sound sculptures" smoothly changing in time.